The conference was aimed to provide practical advice for women working in the creative industries, promote the importance of a thriving and supportive professional ecology and foster an ongoing dialogue between women. 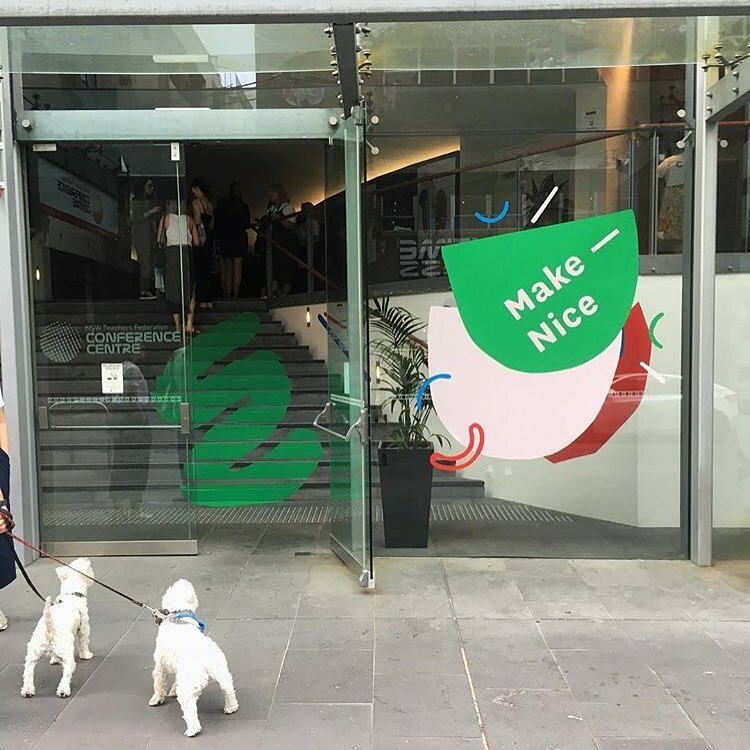 The most notable difference with Make Nice, was the Town Hall sessions—everyone was treated like an expert with their own stories. If a speaker said something that wasn’t relevant for you, another person in the audience had something that was perfect for where you were in your creative journey. My big takeaways from the conference are central to collaboration and pivoting. These were really strong themes throughout the day. Collaboration is the key to success; it’s not lonely at the top if you collaborated to get there. Collaborate with people who are frustrated by the same things as you. Collaborate with people who inspire you. We are learning along the way, all of the time. Life as a designer is often lateral—we are not always going onwards and upwards, sometimes it’s back and forth and side to side. This is central to allowing yourself to pivot on an idea. It is central to prototyping and it requires you to leave your perfectionism behind. Finally, women in Australasia have a tendency to explain their success away, saying they are 'lucky' to be where they are. In reality, we have worked really hard, be confident in your abilities and celebrate your success along the way. How can person-centred design help patients with dementia?